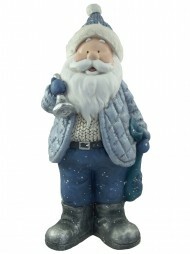 Celebrate the man (and woman) of the season by decorating your home with magical Mr. and Mrs. Claus figurines to delight friends and family. 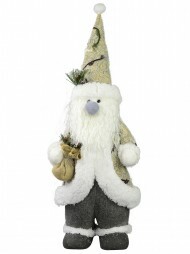 The Christmas Warehouse brings you a variety of Santa styles in a number of sizes and shapes. The long - held traditions of Christmas centre on the celebration of family, fun, and giving, all of which are embodied in the legendary holiday figures of Mr. and Mrs. Claus. As the inspiration for many gift - giving practices and seasonal surprises, the legend of Santa Claus keeps children good all year long in anticipation of the holiday season, and their belief reminds us all of the magic and joy that comes with Christmas. Santa inspires us all to give love (and gifts) to those we care for, and to enjoy the wonderful sights, flavours, and sounds of the holidays. 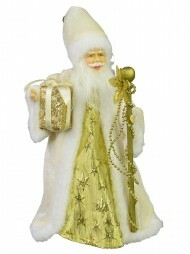 Our wide selection of Santa figurines brings the magic of believing to your home and hearth through a number of elegantly crafted Santa replicas. 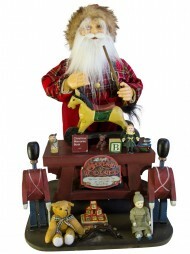 From dynamic moving figurines to classical still scenes, these Santa displays are perfect for any home, office, or business. Set your favourite Santa on your mantelpiece, desk, or display shelves to spread the joy of the holiday season and remind your loved ones that Santa is coming. 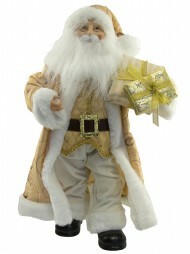 Each figurine captures the loveably iconic features of Santa, including his red and white fur jacket, cap, and long white beard. 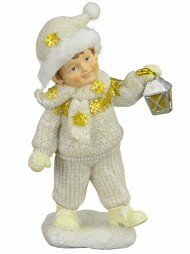 Warm by the fire while you delight at Santa’s jolly red cheeks, round belly, and tiny lifelike details. From miniature black boots to tiny handheld Christmas lists of who’s been naughty or nice, these elegantly made figurines will add holiday magic to any space. Bring a festive Santa figurine to your workplace and watch as your colleagues admire his tiny clothing, joyful face, and holiday accessories. 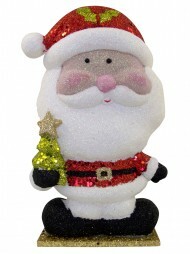 Place a Santa on your desk space or window to boost your excitement for the exciting yearly production of Christmas. 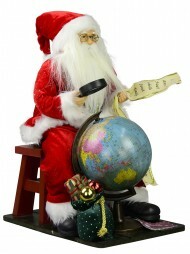 Remind your Scrooge - like co - workers that Santa is watching and bring a touch of holiday joy to your daily work routine. 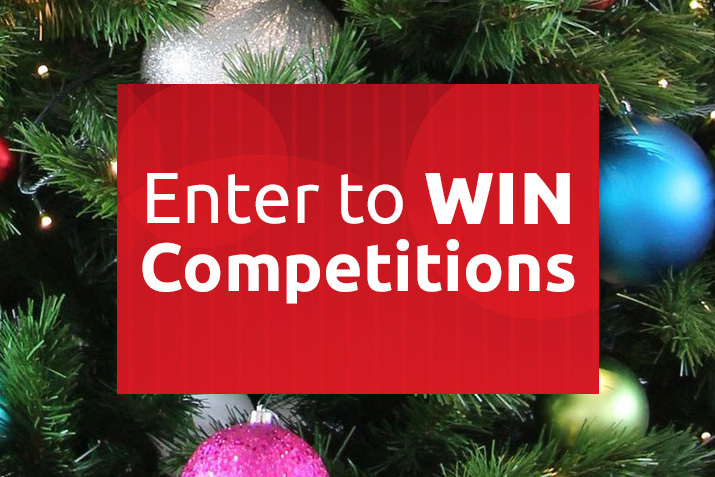 For retail workers and small business owners, adding a seasonal touch to your store is as easy as placing your Santa figurine in your window displays or by the cashier. Customers will stop to admire your display figurines, and children will delight at the intricate detail of the miniature Santa. For best effect, pair Santa with loveable Mrs. Claus and construct a multi - item themed display to give them a festive space for the season. 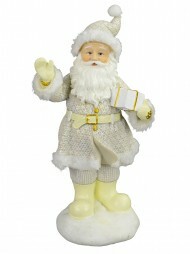 Mrs. Claus adds warmth and charm to your Santa figurine displays. Watch as Mrs. Claus helps with Santa’s Christmas list, hangs stocking, or welcomes you in with open arms. 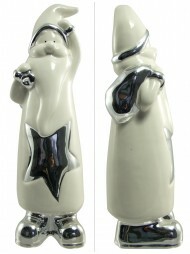 Choose your favourite versions of Mr. and Mrs. Claus to create your own matching pair of figurines. Whether your Mrs. Claus is bundled up in scarves and coats or donning her best red and white holiday dress, she makes a striking partner for Santa and keeps him company all season long. No Santa is complete without his Mrs.! 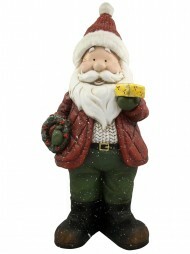 Buy a pair of Mr. and Mrs. Claus figurines for each side of your fireplace, two ends of your holiday dinner table, or as the central duo on your Christmas display shelves. 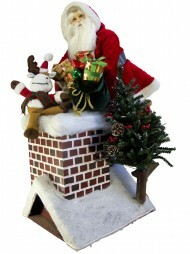 To add a dynamic and enticing element to your holiday displays, you may want to feature animated Santa figurines in your home or workplace. 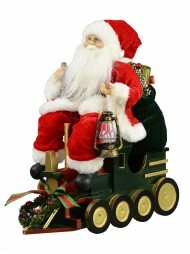 Set your moving Santa in a central place at the office or in your living room and watch as colleagues, friends, and loved ones admire the magical movements of your miniature life - like Santa. Whether he’s making toys, delivering gifts, or squeezing down the chimney, your Santa figure will bring a delightful sense of holiday joy to any space. Entertain dinner guests and holiday party - goers with these cycling figurines and ignite the magical wonder of the season in all of your loved ones. 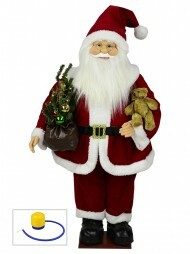 Renew your child’s belief in the magic of Santa Claus with your very own miniature Kris Kringle.